Room Dividers Partitions for Rent. Portable Office Partition Hire Melbourne. We supply portable partitions or room dividers for hire or rent. 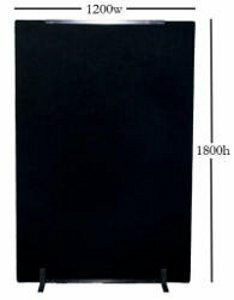 These mobile or portable room dividers or office partitions are black, velcro-friendly, free standing portable partitions. 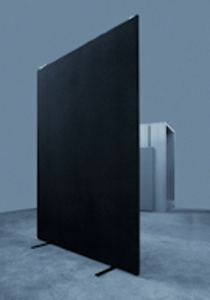 The partitions are 30mm thick and clip together to make a temporary wall or room divider. Click on the image or title to go straight to the rental booking page for Partitions for rent. Call us for multiple quantity pricing! Note: Portable office partition hire, room divider screens & office partition rent prices are Subject to Change without Notice. Whilst we are based in Melbourne we do supply our portable free standing office partitions & room dividers to clients in Sydney, Melbourne, Brisbane, Perth, Adelaide, Canberra, Hobart & Darwin and all towns and cities in between. So, no matter your location, we can help with mobile office partitioning! To make an inquiry regarding temporary room partition hire Melbourne or our partition rental options, please feel free to contact us either by telephone (on 0418 574 767 or in Victoria on (03) 8420 7788), email or by using our Inquiry/Booking Form. We will endeavour to respond to your email or Inquiry Form submission within 24 business hours. As our available products change regularly, it is not possible for us to list all the Partitions we have for rent or hire on this site. If you cannot find the Partitions you are looking to rent or hire here, please feel free to call us (on 0418 574 767 or in Victoria on (03) 8420 7788), email us or use our Inquiry/Booking Form to make an inquiry. We will endeavour to respond to your inquiry within 24 business hours. Want to purchase a portable office partition? We also sell room dividers & portable office partitions. Please feel free to call us (on 0418 574 767 or in Victoria on (03) 8420 7788), email us or use our Inquiry Form to make a purchase inquiry. We will endeavour to respond to your inquiry within 24 business hours.